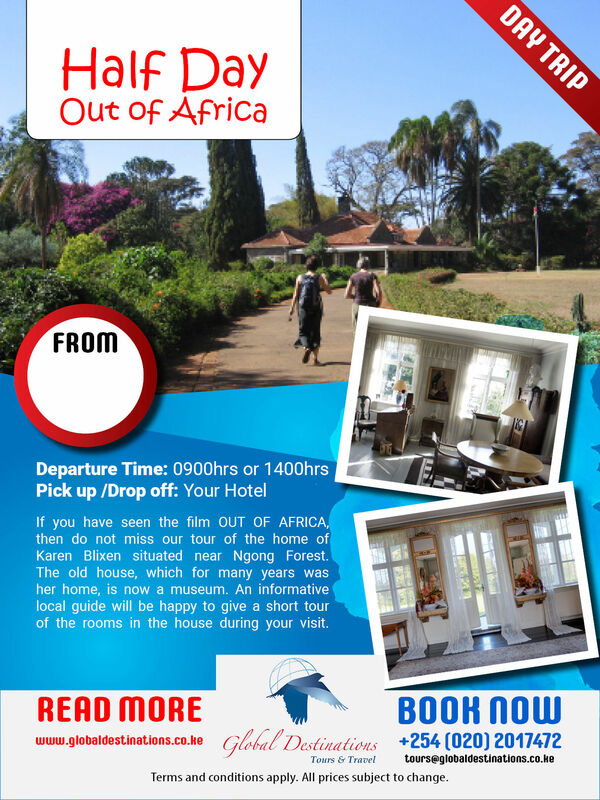 If you have seen the film OUT OF AFRICA, (19815) then do not miss our tour of the home of Karen Blixen situated near Ngong Forest. The old house, which for many years was her home, is now a museum. An informative local guide will be happy to give a short tour of the rooms in the house during your visit. Do not forget your camera. Later a short drive to the giraffe centre to see and feed the Rothschild Giraffe family, so near you can stroke them. A visit to the Kazuri included too. This is an enjoyable tour in the nearby Your Hotel.